A healthy pregnancy diet is vital because nutrition is the major intrauterine environmental factor that alters the expression of the fetal genome and may have lifelong consequences. Maternal malnutrition is associated with low birth weight, increased perinatal morbidity, and even mortality. It increases the child’s risk of developing chronic diseases such as hypertension, insulin resistance, type-2-diabetes, and other cardiovascular and neurological diseases. Diet and nutrition are important factors in the promotion and maintenance of good health throughout the entire life course. However, many people in the developing world, particularly women and children, continue to suffer from undernutrition, the adverse health effects of which are frequently compounded by deficiencies in micronutrients, particularly iodine, iron, zinc, vitamin A, folic acid, and vitamin B12. Determining one’s nutrient needs during pregnancy is complicated because nutrient levels in tissues and fluids that are available for evaluation and interpretation are normally altered by hormone-induced changes in the metabolism, shifts in plasma volume, changes in renal function, and the patterns of urinary excretion. Generally, the daily requirements of macro (carbohydrates, proteins, lipids) and micro (minerals, vitamins) nutrients are easily met in women who follow a balanced and healthy pregnancy diet that provides the recommended daily allowance of all nutrients. The conditions in the maternal womb have a programming effect on fetal physiology. In simpler terms, this means that the overall development of the fetus is closely tied to the conditions that the fetus is exposed to in the womb. The fetal programming hypothesis proposes that chronic diseases like cardiovascular disease and type-2-diabetes originate through adaptations that the fetus makes when it is undernourished. In response to an adverse intrauterine environment, the fetus adapts its physiological development to maximize its immediate chances for survival. These adaptations may be vascular, metabolic or endocrine. 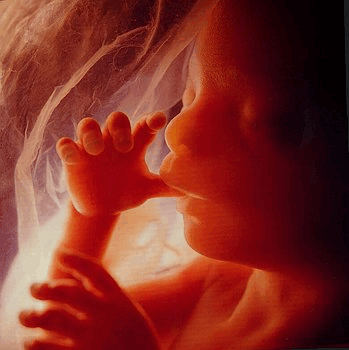 They permanently change the function and the structure of the fetus’ body in adult life. There is substantial epidemiological evidence that the nutritional and hormonal environment experienced by the fetus can determine its degree of risk as an adult. This association appears to be independent of classic lifestyle risk factors such as smoking, obesity, social class, alcohol consumption, and lack of exercise, which are additive to the effect. Indeed, evidence from both human and animal studies suggests that diseases that primarily occur during adult life are induced by the fetal environment. For this reason, following a healthy pregnancy diet that takes care of the nutritional needs of the fetus is one of easiest ways to ensure that the child’s overall development as an adult is secured. Epigenetics is the study of changes in gene activity that are not caused by changes in the DNA sequence. These genetic changes may remain through cell divisions for the remainder of the cell’s life and may also last for multiple generations. Two mechanisms mediating epigenetic effects are DNA methylation and histone modification (acetylation and methylation). There is growing evidence that maternal nutritional status can alter the epigenetic state of the fetal genome and imprint gene expression. Epigenetic alterations in early embryos may be carried forward to subsequent developmental stages. This means that by not following a diet that’s packed with nutrients, you’ll be placing your further generations at risk and not just your child. As all such studies point out, maternal nutrition during pregnancy is an important determinant for fetal growth. With a healthy pregnancy diet, you’ll be able to prevent low birth weight, rapid neonatal growth, and adult diseases like cardiovascular conditions in the child.